The development in the last ten years of the newer anti-myeloma treatments including thalidomide (Thalidomide), lenalidomide (Revlimid), pomalidomide (Pomalyst), bortezomib (Velcade) and carfilzomib (Kyprolis) has greatly improved the prospects and quality of life for people with myeloma. Panobinostat (Farydak); approved in both the US and Europe for use in combination with bortezomib and dexamethasone, for patients who have had at least two prior standard therapies, including bortezomib and an immunomodulatory agent. Elotuzumab (Empliciti) was approved for use in the US and Europe to be used in combination with lenalidomide (Revlimid) and dexamethasone in patients who have received one to three prior therapies, but no particular type of previous therapy is specified. Ixazomib (Ninlaro) was approved for use in the US and Europe to be used in combination with combination with lenalidomide (Revlimid) and dexamethasone for patients who have had at least one prior therapy. Daratumumab (Darzalex); approved in both the US and Europe as a single agent to treat patients with myeloma who have received at least three prior treatments. Attention has turned now to the genetic changes causing myeloma and influencing their response to treatment. Individual patients vary significantly, and even one person can respond differently to a medication if it is given at different stages in their myeloma. This might be one reason why patients sometimes fail to respond well to a drug which was helpful earlier in their illness, or vice versa., Recent advances in genetic analytical techniques are now enabling these genetic alterations to be detected. The gene sequence responsible for myeloma has now been completely mapped by the Multiple Myeloma Genomics Initiative of the Multiple Myeloma Research Foundation. The next 5-10 years are likely to see an upsurge in these discoveries being brought into clinical trials, leading to a clearer understanding of how treatments can be tailored to individual patients. Further studies of these differences will eventually enable treatments to be adjusted and developed to suit individual patients, based on their gene sequences. 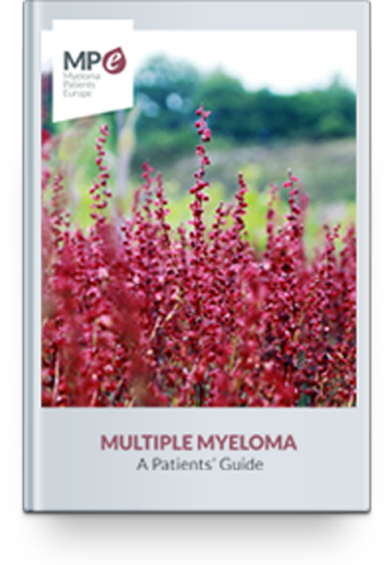 As myeloma is relatively rare, patients unfortunately do not always have access to the same standard of care available wherever they live. For example, university hospitals in major cities have myeloma specialists who may be engaged in current drug trials and are fully aware of the latest findings on the uses and advantages of innovative treatments. Patients of rural, local hospitals are often in the care of general haematologists or oncologists who may not be fully informed on the latest research developments, clinical trials and complexities of myeloma. In some countries, patients have little chance to participate in clinical trials of new treatments that could offer them improved treatment or reduced side-effects. Continuing research into myeloma is urgently needed, as it is important that recent myeloma research findings in these centres are quickly translated into treatments that are available to more myeloma patients.